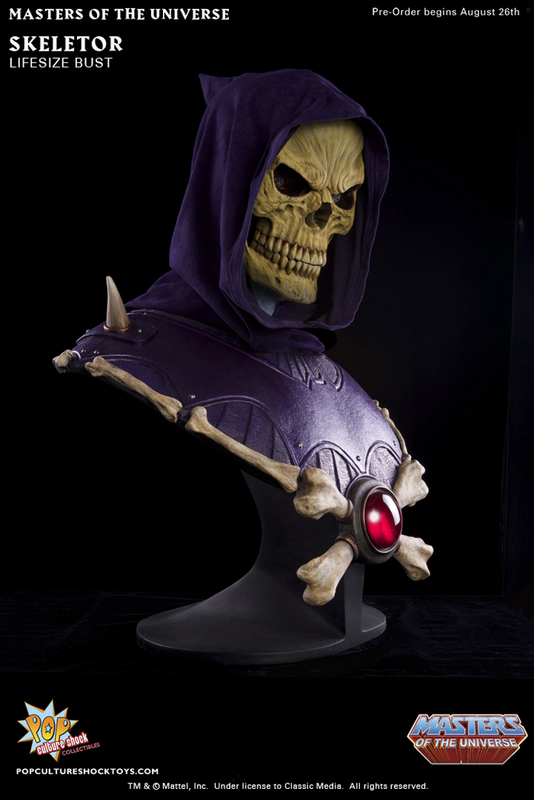 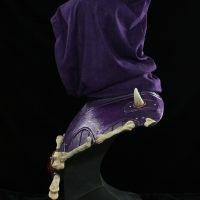 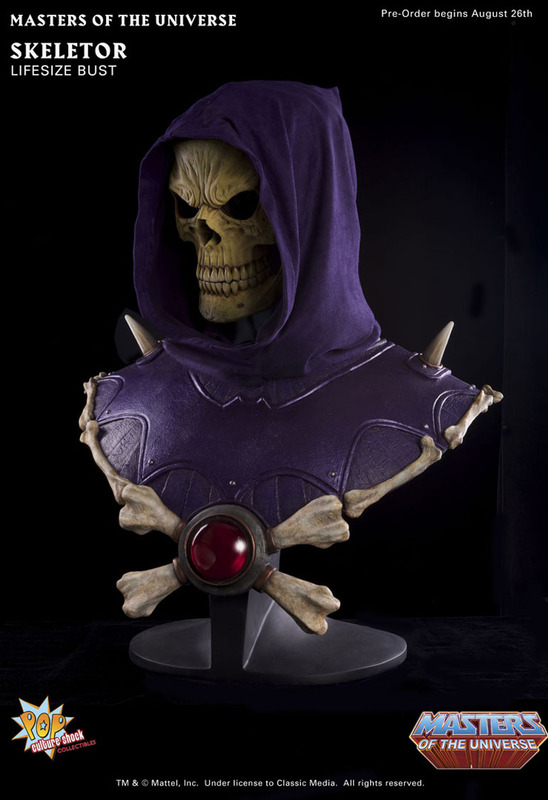 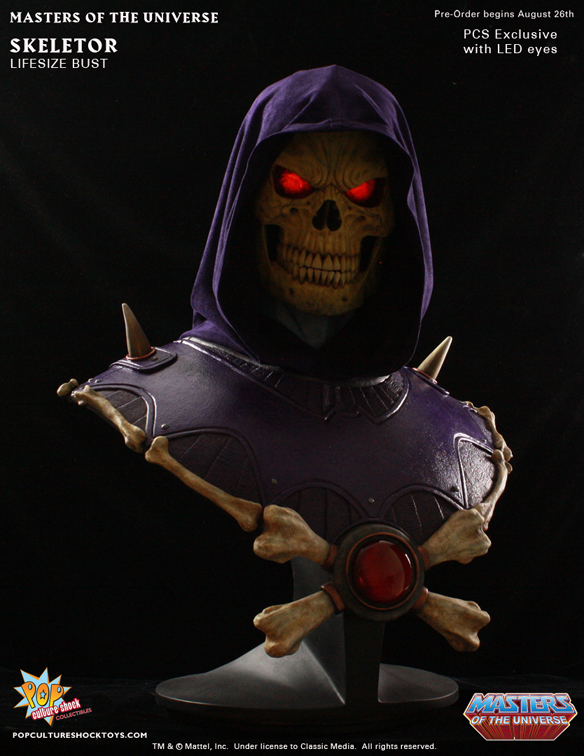 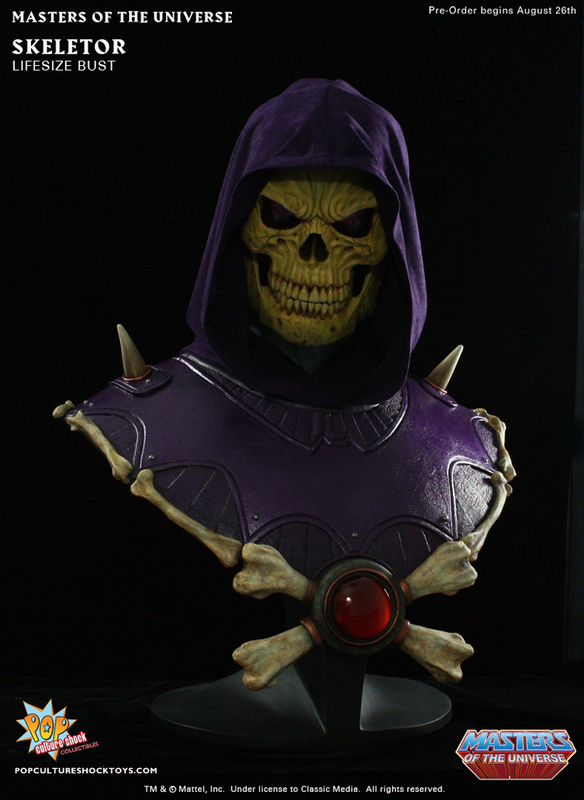 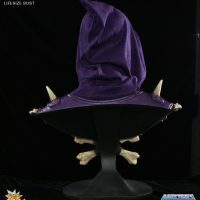 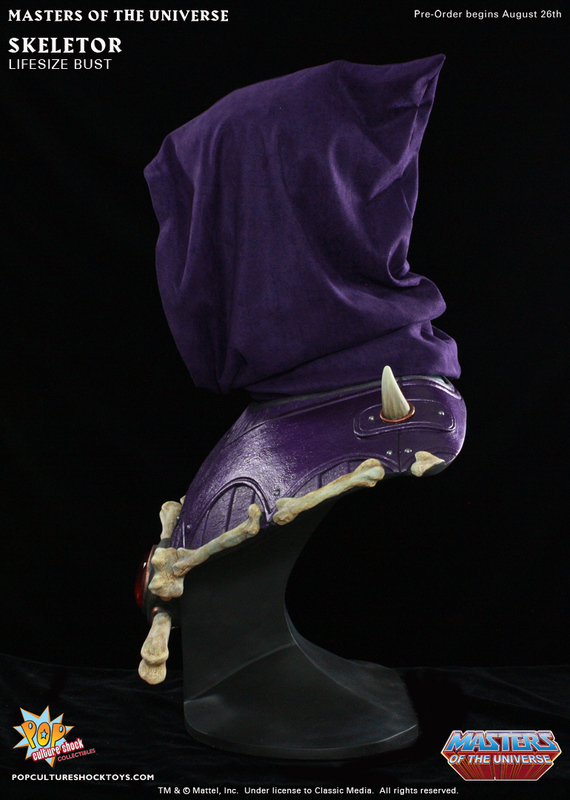 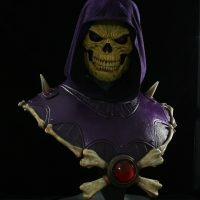 A face not even a mother could love is depicted on the Masters of the Universe Skeletor Life-Size Bust with LED Eyes, as He-Man’s arch-enemy gazes from beneath his hood, eyes glowing red with power. 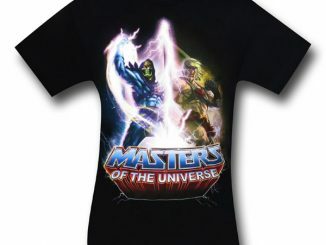 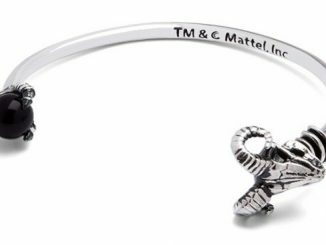 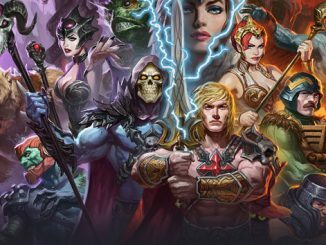 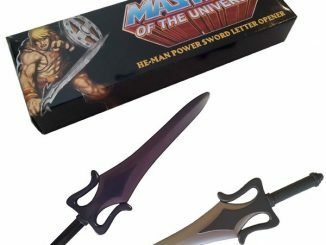 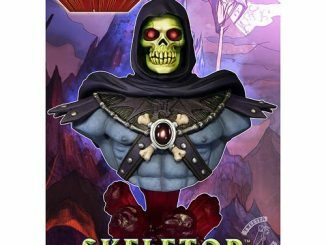 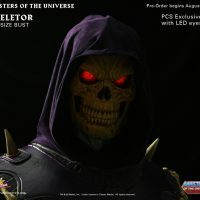 Skeletor and the rest of the Masters of the Universe gang have been cheated almost from the very beginning, created for the sole purpose of marketing the He-Man cartoon in the 80’s. 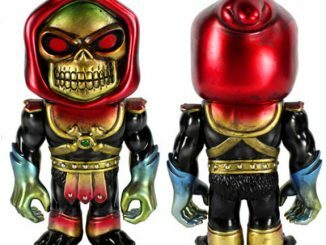 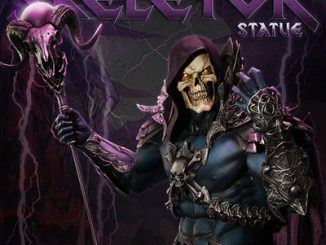 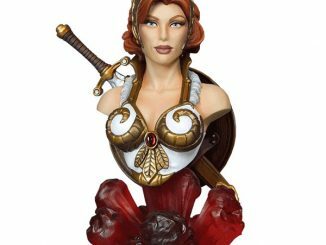 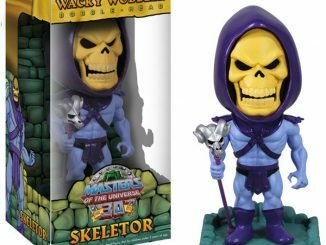 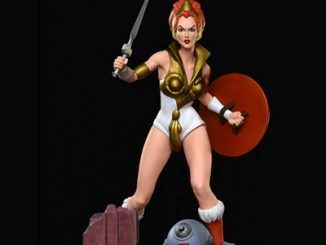 Because of that, Skeletor has always been more comic relief than cosmic terror, but this 29-inch-tall statue hints at the darkness that’s possible with an intimidating look at the villain who covets the power of Castle Grayskull. 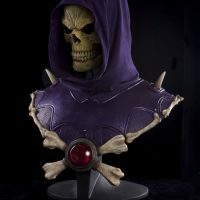 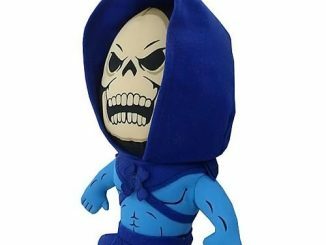 With glowing LED eyes, a real cloth hood, and highly-detailed features, Skeletor finally gets to be the shadowy force of evil he’s always had the potential to be. 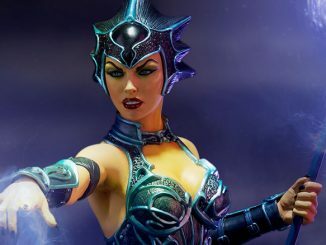 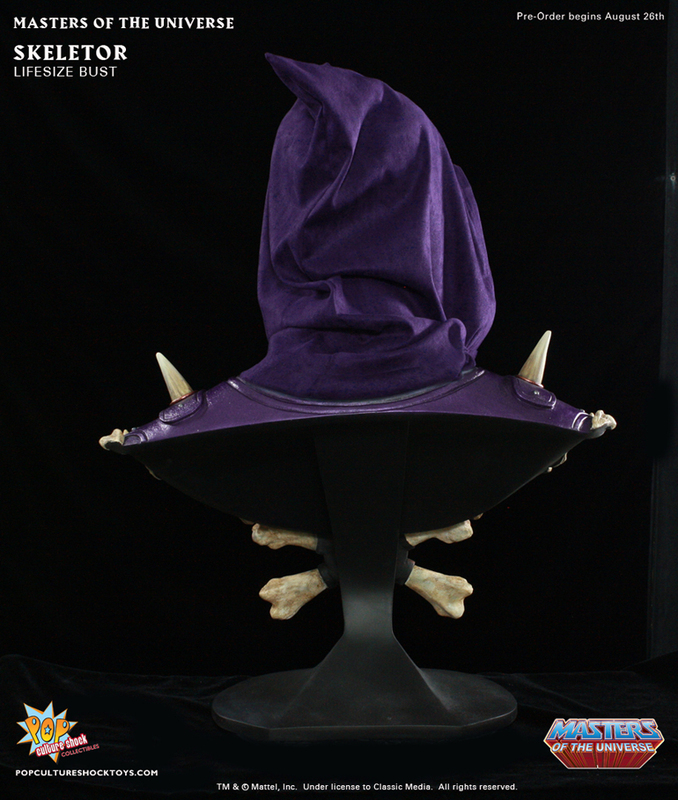 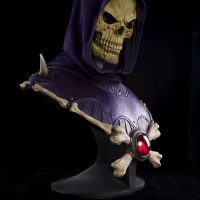 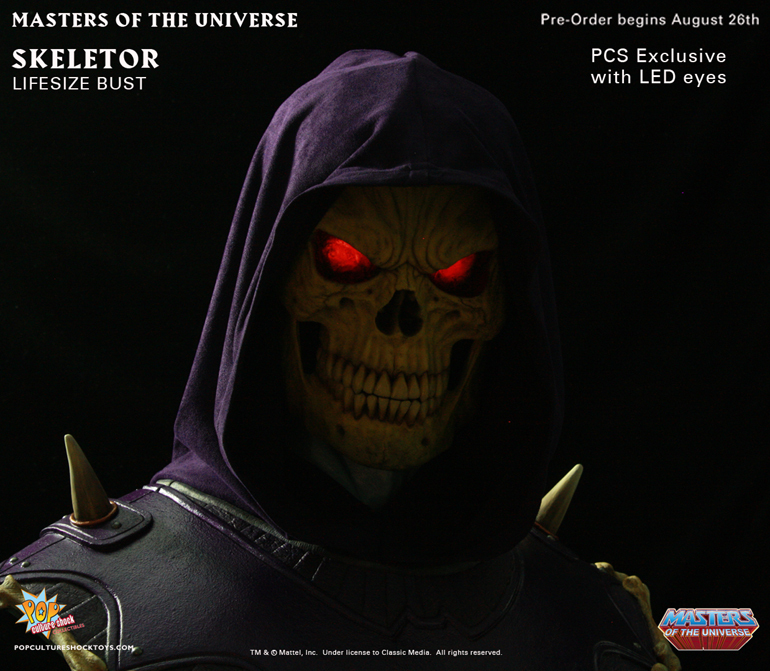 The Masters of the Universe Skeletor Life-Size Bust with LED Eyes will be available 1st Qtr 2014 but it will be available for pre-order for $675 beginning on August 26 at Pop Culture Shock.